Architect Bethany Quinn reluctantly returns to her Iowa hometown for an "in and out" visit---but then her grandfather dies and leaves her his farm. She wants to sell the place, but even that gets complicated with manager Evan Price watching her every move. Can Bethany make peace with her trailer park past---and find love? 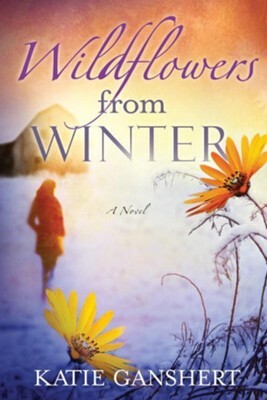 "From winters chill to the warm breath of spring, Wildflowers from Winter is a poignant and powerful tale of love, faith and hope through seasons of grief. A stunning debut, Katie Ganshert has penned a breathless journey that will steal both your heart and your sleep." "Katie Ganshert writes with a compelling mix of honesty and soul. With compassion and a keen eye for the dynamics of relationship, she wrestles with complex issues of love, freedom, and faith." "An impressive debut novel. Ganshert weaves a genuine story of love and forgiveness, family and friendship with simple but beautiful prose. She didn't just capture my interest with this story, she captured my heart. Well done!" "Katie Gansherts debut novel is wonderfully and lyrically written. Dont miss this refreshing new voice in book-club fiction for Christian readers." 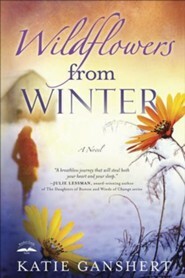 "Wildflowers from Winter offers characters displaying true-to-life emotions, a plot that engages the reader, and beautifully turned phrases. One of the best debut novels Ive read." "With a fresh voice, Ganshert grips you from page one and takes you on a soul-searching journey. Her characters, in all their imperfections, leap off the pages and into your heart. The richness of the story will move your faith and emotions, leaving the warmth of hope long after you finish the last page." "Wildflowers from Winter will touch your heart and leave you longing for a more simple lifeand more stories by this new author. Katie Ganshert has penned an impressive debut novel about family strife and going home again, even when its against your will. This tender story blends human drama and fragile relationships with true-to-life characters that will jump off the page and into your heart." "What a powerful story! In Wildflowers from Winter, Katie Ganshert gives readers a very touching tale about the power of love and faith to heal a hurting heart. The cast of characters will grab hold of your heart from the first chapter and stay with you long after you turn the last page. The issues raised and their resolutions are realistic and thought provoking. Katie knows how to write a romance with deep emotion and meaning." "As soft as new snow and as beautiful as a field of flowers, Wildflowers from Winter is a refreshing and illuminating journey from anger and doubt to understanding and peace. Once you meet the characters of Peaks, IA, you wont want to say goodbye." "Beautifully drawn characters will win your heart from page one of this poignant story, lingering in your mind when you've finished. It's a tale of loss and sorrow and of dreams redeemed. Novel Rocket and I give it a very high recommendation." I'm the author/artist and I want to review Wildflowers from Winter: A Novel - eBook.